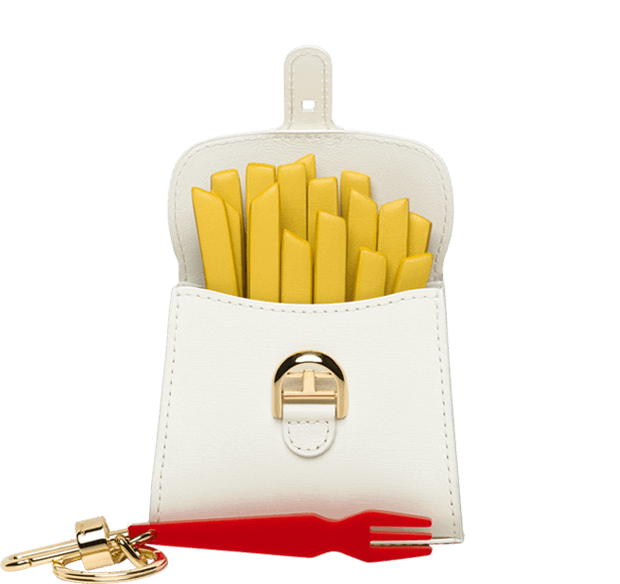 Waffles and whimsy, fries and surrealism – the limited edition Miniatures Belgitude collection is Delvaux’s homage to the many known, and lesser known, treasures of the Kingdom of Belgium. 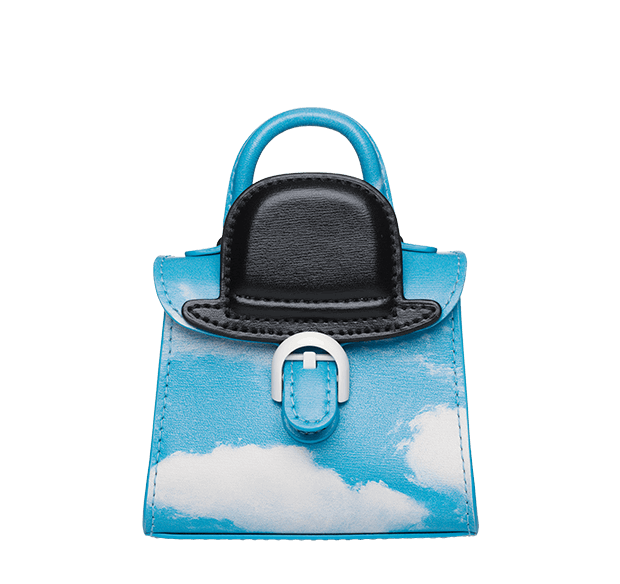 Handmade miniature versions of Delvaux’s iconic Brillant bag, created in 1958, they are a perfect blend of humour and savoir-faire. Each bag is named after a Belgian city and represents a particular aspect of Belgian quirkiness and attitude – what we call Belgitude. Jaco Van Dormael is a critically acclaimed Belgian film director, screenwriter and playwright. His feature films are much loved classics in Belgium and abroad and have gained international success and recognition. Isn’t it surreal when it’s too good to be real? French by name, Belgian by nature, the frite was born in Namur. The golden chip has since conquered many lands, and traded its traditional paper cone for the finest of leather bags. For blue skies against endless horizons, we’ll always have Knokke le Zoute. Keeping our bag in the clouds and feet on the dunes, we take our hats off to Belgitude flying high. Salty breezes, foamy waves, wailing seagulls and white wine mussels: these are the ingredients of Ostende by the sea. 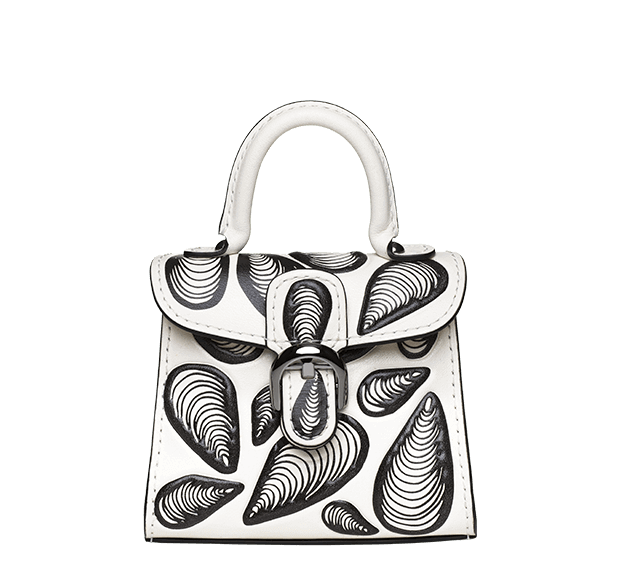 Add the finest leather and an entrancing print and what emerges is the most charming of Miniature bag. There’s no waffling about which waffle is the best, for the Gaufre de Liège surely wins the contest. Sweet and sticky, one could happily eat a stack.Even the Miniature has one for its afternoon snack. The ultimate guilty pleasure. 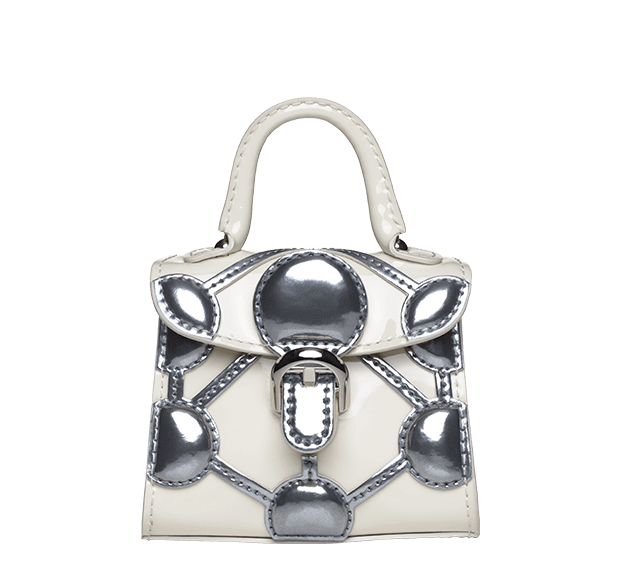 This is not a Delvaux, this is Gand: a place where free spirits have always defied perceptions. 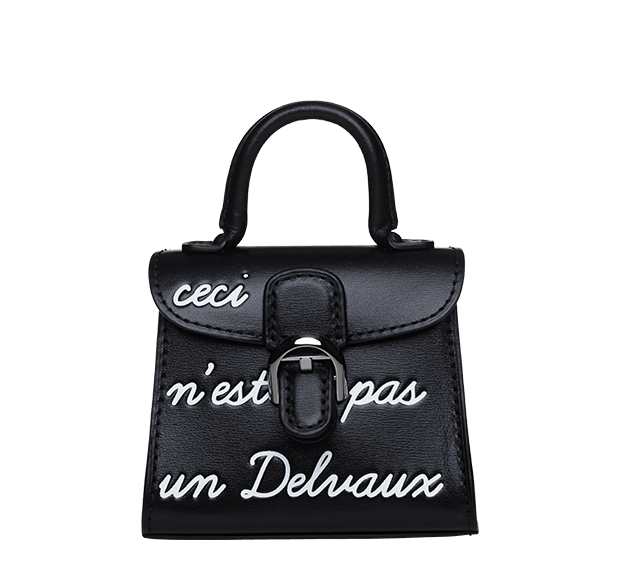 But are things really as they seem, and is this truly not a Delvaux? A world capital of avant-garde fashion, everyone goes dotty for Anvers. And for this teeny tiny style guru that has no issue with nailing its Belgian colours to the mast. Home to sprouts and irreverant statues, Brussels is also the birthplace of two icons – the Atomium and the Brillant. 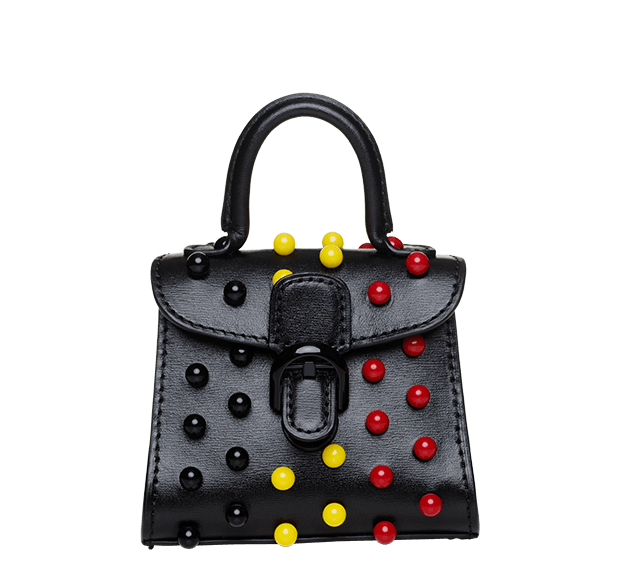 Both shiny and bold and born at the 1958 World Fair, the symbol of Brussels and the Queen of Delvaux shine together as the Kingdom of Belgium’s tiniest bag. Winner of multiple awards and nominations from Cannes to Hollywood, Venice and Berlin, Jaco Van Dormael’s films have also earned no less than 10 Magritte Awards (the ‘Belgian Oscar’) and the César for Best Foreign Film. His four feature films include ‘Toto le Héros’ (1991), ‘Le Huitième Jour’ (1996), ‘Le Tout Nouveau Testament’ (2015) and the English language film ‘Mr Nobody’ (2009) starring Jared Leto and Diane Kruger. For the Miniatures Belgitude collaboration with Delvaux, Jaco Van Dormael and his team created seven breath-taking sets, each creating a unique ambiance for the different miniature Brillant bags. Filmed in Brussels, dozens of people from film and theatre worked together for more than a month to produce spectacular décors and bring Belgitude to the screen. 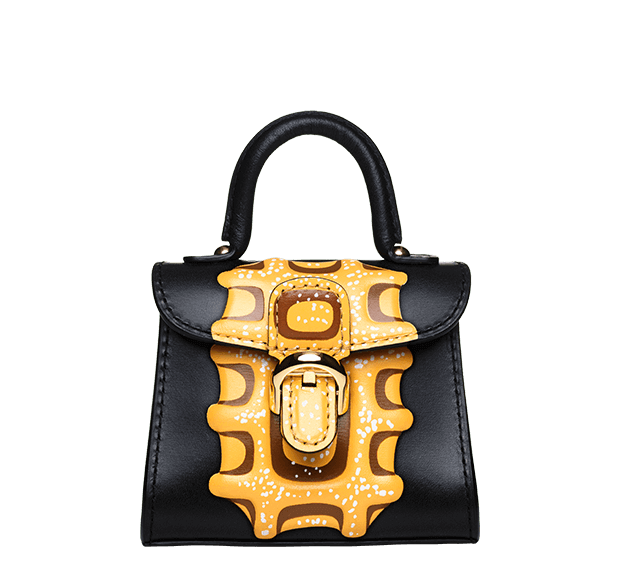 Delvaux can think of no one better than Jaco Van Dormael to work with and embody the best of Belgium - a renowned Belgian film-maker, a man who plays with surrealism, is committed to poetry and dedicated to making magic.